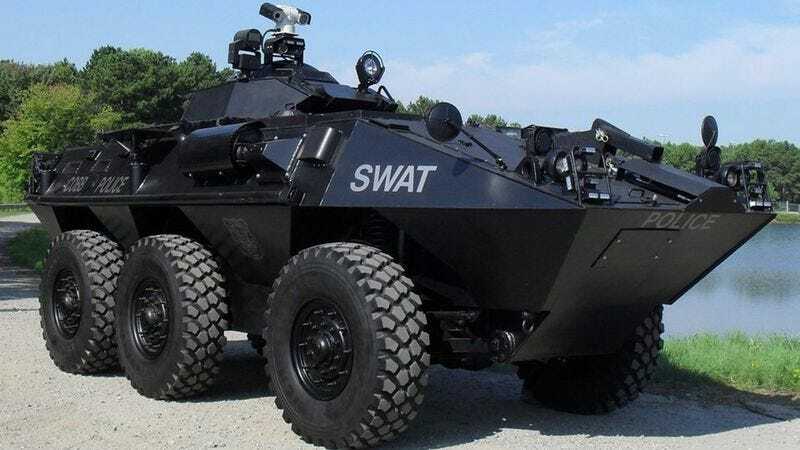 WASHINGTON—In an effort to restore the public’s faith in law enforcement, President Obama made an impassioned appeal this week, calling for the installation of turret-mounted video cameras on all police tanks. “This initiative will ensure that police officers across the country will be held accountable for their actions as they pour out of an 18-ton combat vehicle in response to a routine call,” said Obama, who announced a detailed plan to allocate funding to equip every single armored personnel carrier, landmine-resistant SWAT van, and battle-ready half-track with an onboard camcorder to monitor police conduct. “If the police are forced to discharge a high-caliber, vehicle-mounted weapon in the line of duty, we’ll know why. Furthermore, this policy will discourage the misuse of shell-proof tanks in our communities.” The president added that he is hopeful that turret-mounted video cameras would help to reestablish trust between officers equipped with military-grade technology and the populations they are sworn to protect.